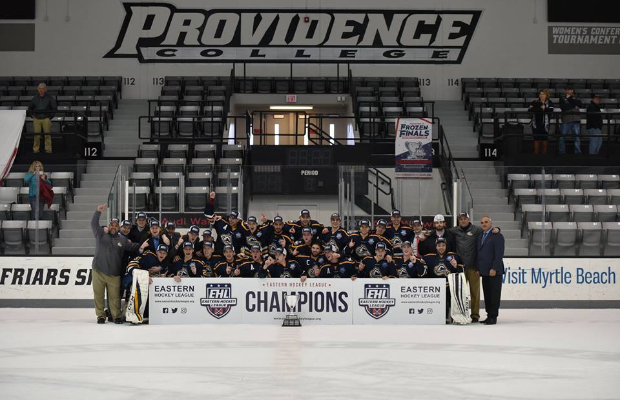 LACONIA, NH -- The New England Wolves program is coming off of one of their most successful seasons in franchise history, at both the Eastern Hockey League (EHL) level and the Eastern Hockey League Premier (EHLP) level. 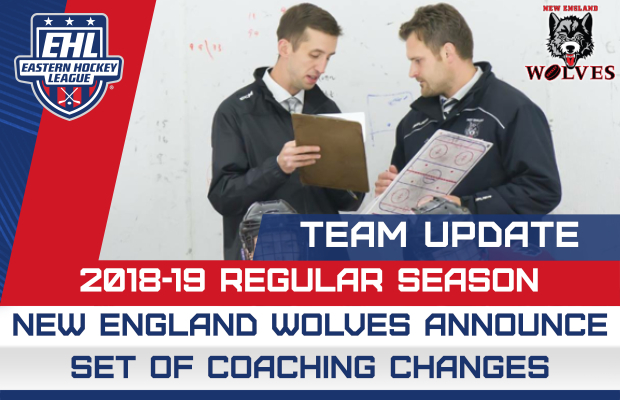 Following a solid 2017-18 campaign, the Wolves are pleased to announce coaching and management changes for the 2018-19 season. After serving as the EHLP Head Coach this season, Tim Kunes has been promoted up and will serve as the EHL Head Coach starting this Fall. Kunes, in his first full season of coaching, guided the EHLP Wolves to a 4th consecutive playoff berth and advanced his team into the Second Round of the EHLP Playoffs. The graduate of Boston College and 2007 NCAA National Champion, was integral to the development of the program's defensemen, which of course was the position he played up and through the end of his minor pro career. Most notably, Kunes was critical in the development of the league's youngest player, Declan House, as the 2001 defenseman appeared in over 45 EHL games and recorded 24 points to his name. Additionally, he was integral in the implementation of the Wolves "Den of Development" Model; the Wolves practice and organizational philosophy that has each of its Junior teams on the ice twice per day (sandwiched between video review sessions, Peak Performance Counseling Sessions, and team workouts). Andrew Trimble, who served as the EHL Head Coach this season, will slide into the General Manager role and take on the management duties for all teams within the program. In addition, Trimble will also take over the coaching duties for the Wolves' EHLP team. "Coach Kunes has proven that he is a very thorough, team-first coach, who can get the most out of his players. His EHL team next season has the chance to have a very special season," said Trimble. "I am very proud of the staff we have assembled here in Laconia, as each of our coaches has proven they can coach and connect with Mites through Juniors. These changes allow our coaches to play to their personal strengths and continue to build off our success last season." For more information on the Wolves, visit the team's official website.